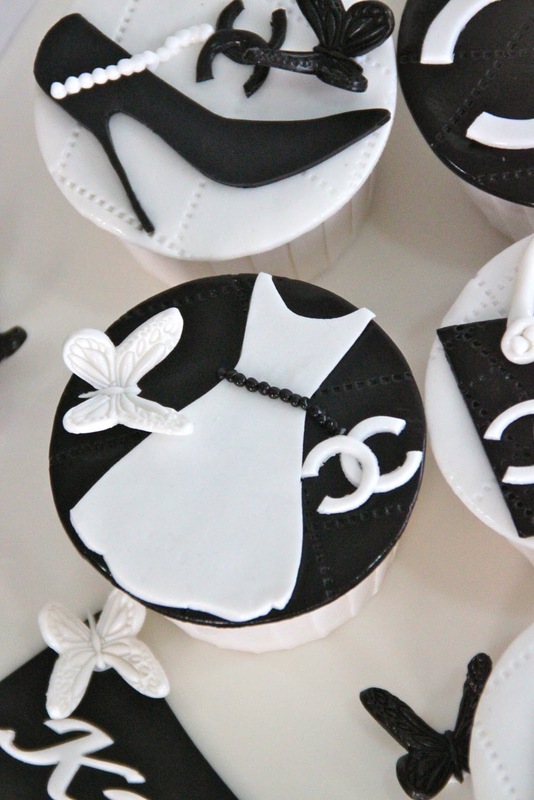 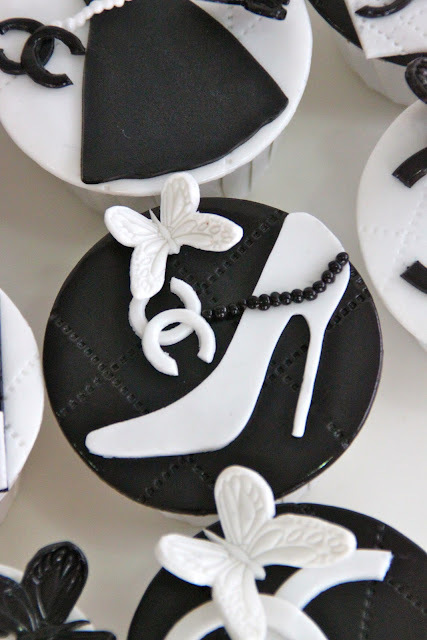 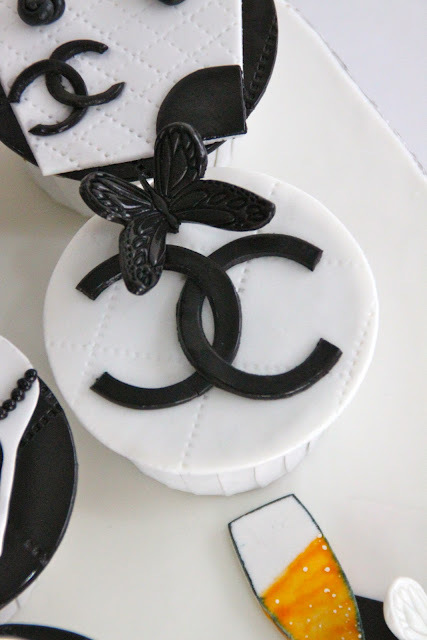 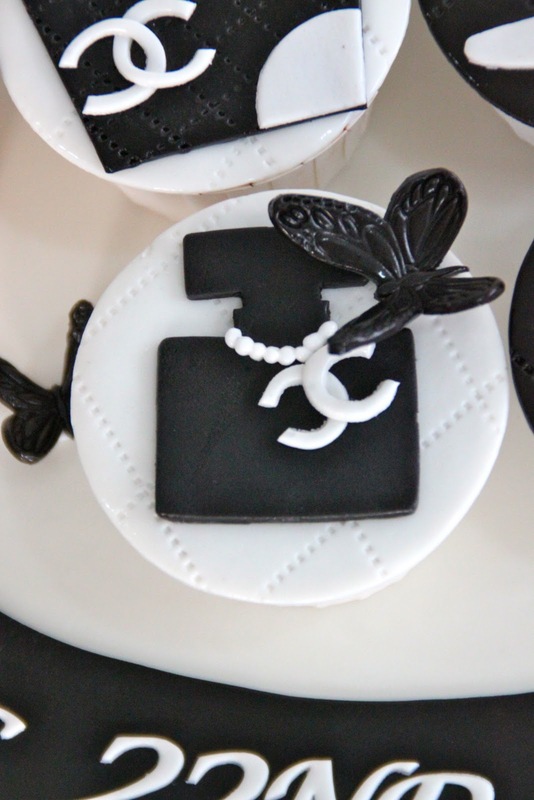 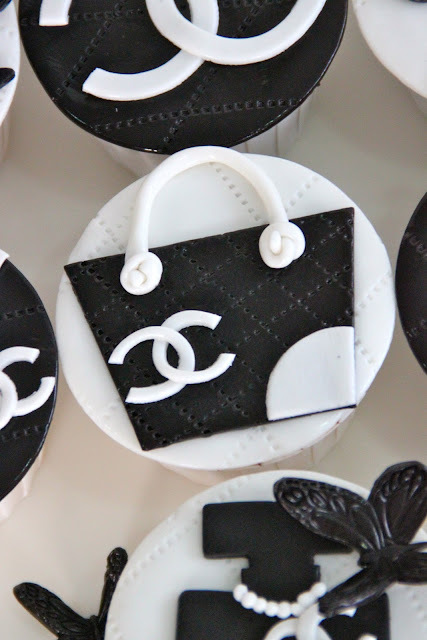 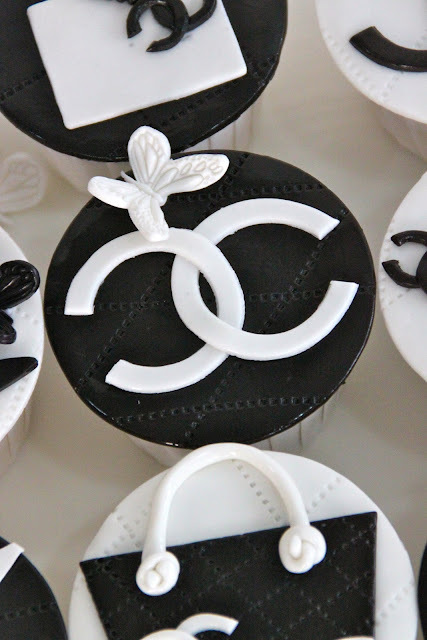 A came across our other Black and White Chanel Themed cupcakes and got us to make one for a friend. 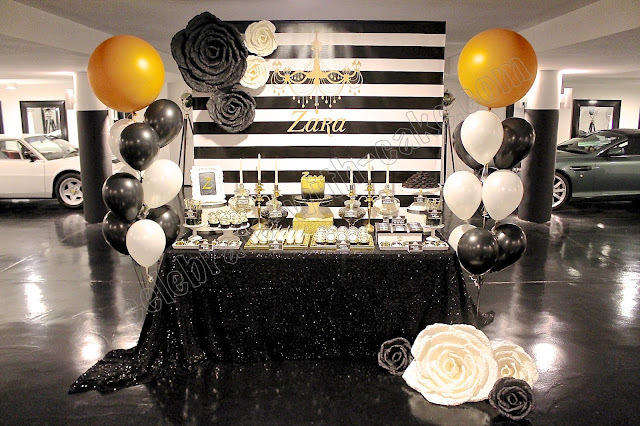 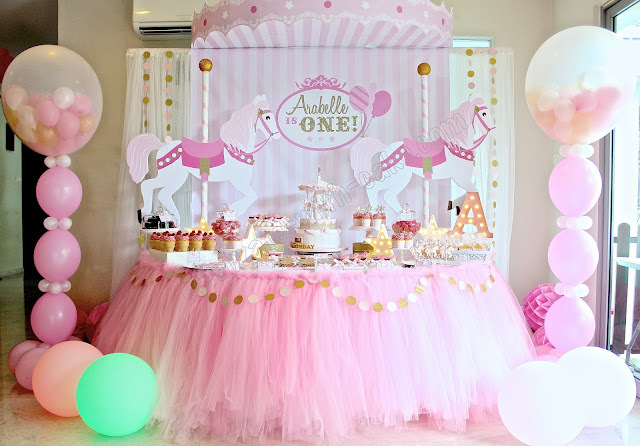 She also requested for a 2D cut out of a champagne flute to be placed beside the message on the set up. 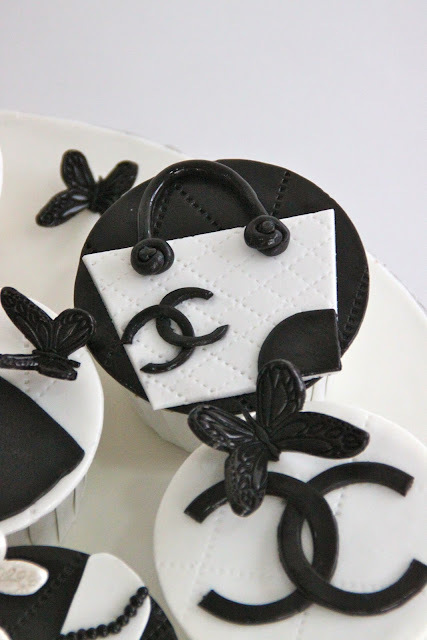 Cupcakes were a mix of green tea, lemon with lemon creme cheese, lemon with passionfruit filling and chocolate with salted caramel filling.